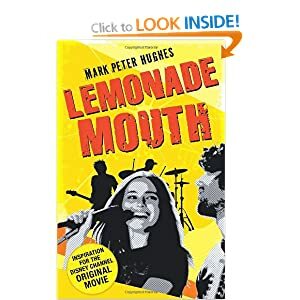 Now that you’ve seen the Lemonade Mouth movie on the Disney Channel…get the original book it came from! The members of the legendary band Lemonade Mouth have been called all these things. But until now, nobody’s known the inside story of how this powerhouse band came to be–how five high school freshmmen outcasts found each other, found the music, and went on to change both rock and roll and high school as we know it. Wen, Stella, Charlie, Olivia, and Mo take us back to that fateful detention where a dentist’s jingle, a teacher’s coughing fit, and a beat-up ukulele gave birth to Rhode Island’s most influential band. Told in each of their five voices and compiled by Scene Queen, freshman Naomi Fishmeier, this anthology is Lemonade Mouth’s definitive history.